The year is 1960. Television is black and white, rotary phone is a rarity, kids actually play outside, and wearing pants for women is a taboo. Imagine what would happen if a smartphone was available in the 1960’s! Wouldn’t it seem like magic? 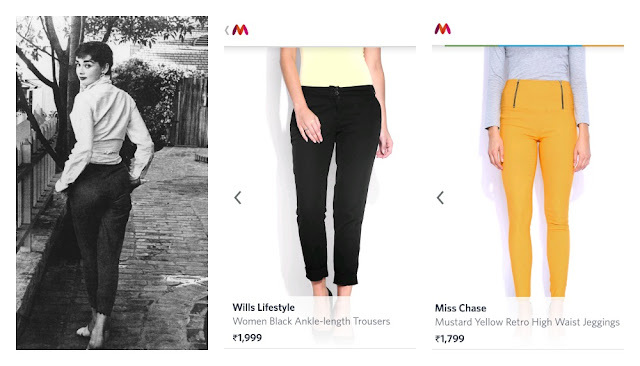 Now imagine, if the timeless style icon Audrey Hepburn had been given a smartphone to shop from, what would she choose for her ladylike meets tomboyish ensembles? 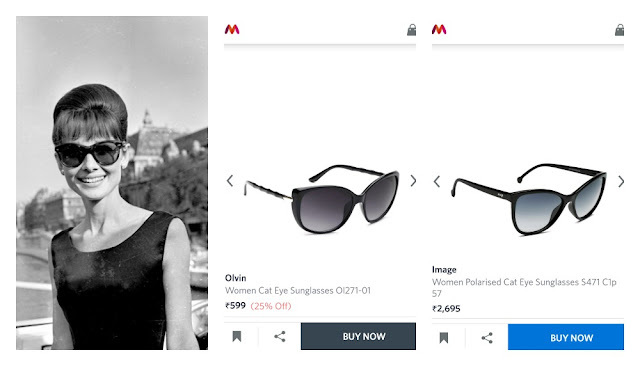 Here are a few Audrey Hepburn style staples that she would have definitely searched for. 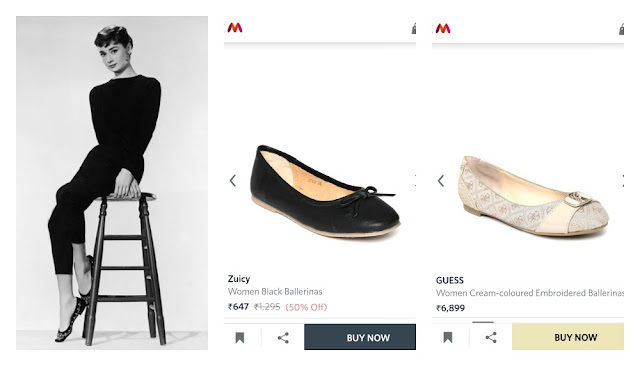 Audrey’s style consisted of tailored silhouettes, basic staples and a lot of pieces in the color black and white. 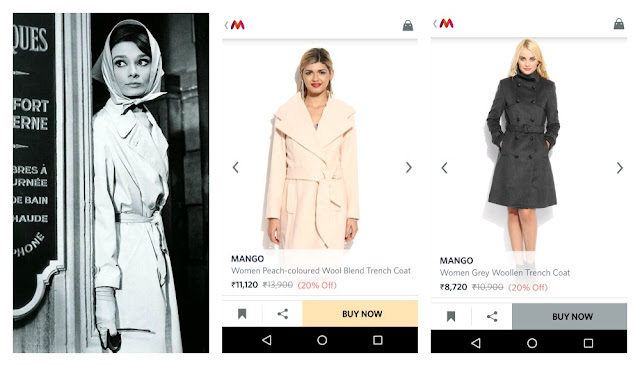 Here is what I found when shopping for Audrey Hepburn inspired fashion with the help of Myntra’s shopping app on my smartphone. If you want to incorporate her everlasting style into your wardrobe, start with trench coats, striped t-shirts, large semi cat-eye sunglasses, ballet flats and high-waisted pants. The search option acts like a fairy godmother’s wand, which in a second brings to you what you are looking for. And with all these choices (and discounts!) wouldn’t Audrey want to add a few colorful pieces in her wardrobe too? 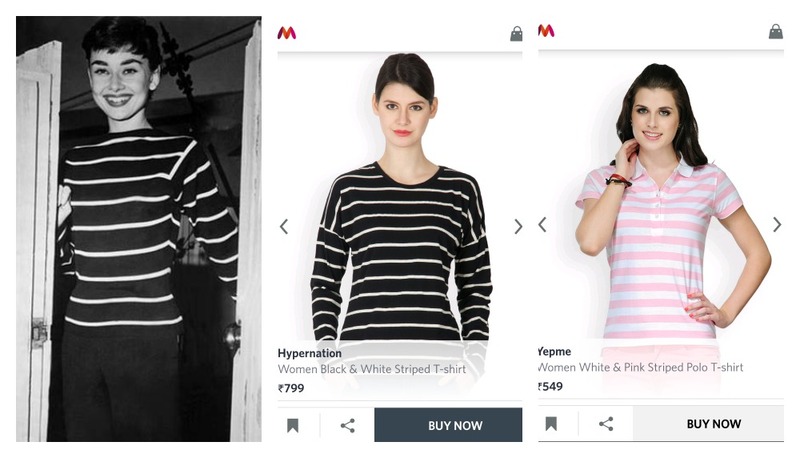 If a person from the 60’s would have had a chance to shop from their phone, they would surely find the process magical. To tell you the truth, even in today’s age, I too am bedazzled by the magic of shopping online!